Karla Walter, Associate Director of the American Worker Project at American Progress, testified before the Cambridge City Council Economic Development and University Relations Committee on Wednesday, April 29, 2015. Below is her statement. Thank you, Councilmember Simmons, Vice Mayor Benzan, and members of the Economic Development and University Relations Committee for this opportunity to present testimony. Today, I will provide context and recommendations for legislation to create a standard wage for building service workers in the city of Cambridge. My name is Karla Walter. I am the Associate Director of the American Worker Project at the Center for American Progress Action Fund. CAP Action is an independent, nonpartisan, and progressive education and advocacy organization dedicated to improving the lives of Americans through ideas and action. At CAP Action, I have conducted extensive policy research on how cities, states, and the federal government can use government spending to uphold high standards for workers, allow businesses to compete on an even playing field, and ensure taxpayers receive good value. Cities and states across the country are successfully using standard wage policies, often known as prevailing wages, to ensure that government purchasing does not support employers that drive down pay and benefits in specific industries. The Cambridge standard wage proposal could expand on this successful model and establish the city as a national leader. These laws are good for workers, taxpayers, businesses, and the economy. More than 120 cities and one state have adopted living wage laws requiring that public contractors pay their workforces a nonpoverty wage. The city of Cambridge—with a living wage of $15 per hour—is a national leader in upholding high standards. These laws make a significant impact on the lives of workers employed by contractors, uphold government’s promise to function as a model employer, and help raise standards throughout the economy. But state and local leaders can do more to raise standards for government-supported work. Growing numbers of state and local governments are adopting additional responsible contracting reforms to improve the quality of jobs generated by their procurement spending. States and cities, such as Connecticut; California; New Jersey; New York state; New York City; Pittsburgh, Pennsylvania; and Jersey City, New Jersey, have taken another approach by extending industry-specific wage standard laws—long used to protect contracted construction workers—to certain types of service-sector contractors. These sector-specific wage standards typically focus on industries, such as building services, in which the pay and benefits attained in the private sector are higher than the level of most living wage laws. These laws require that contractors pay their workers at least the rates that are identified as the standard in the jurisdiction for the same industry and occupation. This ensures that government purchasing does not support employers that are driving down job standards in the sector. For example, Jersey City, New Jersey, passed a law that combines the best features of industry-specific wage standards and living wage ordinances in 2012. Some governments extend prevailing wage coverage even further to reach other jobs that are created by municipal taxpayer dollars. For instance, Pittsburgh enacted a service worker prevailing wage law that covers grocery, hotel, food service, and building service workers in economic development projects that receive more than a certain amount in city subsidies. Similar laws have been adopted in Hartford, Connecticut; New York City; Washington, D.C.; a number of cities and counties in New Jersey, including Jersey City; and Philadelphia, Pennsylvania. Based on my experience and review of best practices in other jurisdictions, I encourage you to introduce language that would build on these best practices in order to ensure Cambridge’s government purchasing does not drive down local industry standards. In particular, the legislation should ensure covered building services workers are paid no less than the standard wage rate paid in the local private-sector market, receive employer-provided health coverage or an hourly pay supplement in lieu of coverage, and receive paid time off. The requirements should apply to city contracts, as well as projects that receive economic development subsidies and buildings where the city is a tenant. The proposal should include strong enforcement mechanisms to help ensure that bad-actor contractors do not attempt to win contracts with bids so low that they would necessitate paying under the legal requirements. Bidders should be required to indicate the hours of work required to complete a contract and include the required pay for the work in covered contracts. Violations of the standard wage requirements should be considered a breach of contract and also be enforceable through the courts. When governments adopt wage standards, it is not only good for workers, but also for high-road businesses. Indeed, without strong standards, too often these companies are forced to compete against low-road companies that undercut the market by paying low wages. For example, after Maryland implemented a contractor living standard, the average number of bids for contracts in the state increased 27 percent—from 3.7 bidders to 4.7 bidders per contract. Nearly half of contracting companies interviewed by the state of Maryland said that the new standards encouraged them to bid on contracts because it leveled the playing field. Moreover, a review of state and local contracting practices by the National Employment Law Project found that adoption of contracting standards has often resulted in decreased employee turnover with corresponding savings in restaffing costs. For example, after the San Francisco International Airport adopted a wage standard, annual turnover among security screeners fell from nearly 95 percent to 19 percent—saving employers about $4,275 per employee per year in restaffing costs. Finally, by raising workplace standards among government contractors, state and local governments can ensure that taxpayers receive a good value. When workers are poorly compensated, taxpayers often bear hidden costs by providing services to supplement workers’ incomes, such as Medicaid, Earned Income Tax Credits, and food stamps. Opponents claim that these industry wage standards hurt the economy by raising contract costs and preventing businesses from creating jobs—helping a few workers receive wage increases at the expense of employing more workers. However, research does not bear this out. For example, research by the University of North Carolina’s T. William Lester analyzed the impact of economic development wage standards in 15 cities, finding that the laws had no negative effect on citywide employment levels. Also, the costs of wage standards can be offset by improved worker productivity. A 2006 study of construction prevailing wage laws found that states with these laws had higher productivity than states without such laws, with as much as 15 percent more value added per worker. Finally, industry wage standards provide significant benefits to state and local economies. Researchers have estimated the economic benefits of state-level prevailing wage laws when opponents have attempted to repeal the laws. For example, one study estimated that the repeal of Missouri’s prevailing wage law would cost the state between $324 million and $488 million in lost income to workers and tax revenues, including sales tax. Another study conducted this year found that repeal of West Virginia’s law could cost the state up to $84 million per year. Cities and states across the country are successfully using industry standard wages to ensure that government purchasing does not undercut fair market wages. These laws help ensure that workers have access to decent jobs, taxpayers receive a good value for their investment, and businesses that respect their workers are able to compete on an even playing field. Adoption of standard wage provisions by the city of Cambridge would build on this successful model and establish the city as a national leader. 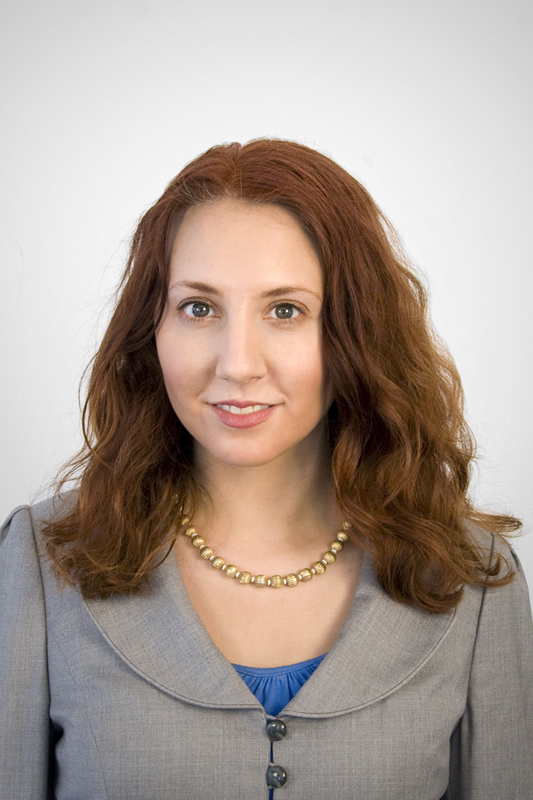 Karla Walter is Associate Director of the American Worker Project at American Progress.